John Rawls's critique of capitalism was deeper than has been commonly recognized -- this is a central thrust of quite a bit of important recent work on Rawls's theory of justice. Much of this recent discussion focuses on Rawls's idea of a "property-owning democracy" as an alternative to both laissez-faire and welfare-state capitalism. This more disruptive reading of Rawls is especially important today, forty years later, given the great degree to which wealth stratification has increased and the political influence of wealth has mushroomed. (I've addressed this set of issues in prior posts; link, link.) Martin O'Neill and Thad Williamson's recent volume, Property-Owning Democracy: Rawls and Beyond, provides an excellent and detailed discussion of the many dimensions of this idea and its relevance to the capitalism we experience in 2012. It includes contributions by a number of important younger political philosophers. O'Neill and Williamson make the point in their introduction that this issue is not merely of interest within academic philosophy. It also provides a powerful conceptual and normative system that might serve as a basis for a more successful version of progressive politics in North America and the UK. Politicians on the left have found themselves locked into a defensive battle trying to preserve some of the features of welfare state capitalism -- usually unsuccessfully. The arguments underlying the idea of a property owning democracy have the potential for resetting practical policy and political debates on more defensible terrain. How would the wide dispersal of wealth be achieved and maintained? Evidently this can only be achieved through taxation, including heavy estate taxes designed to prevent the "large-scale private concentrations of capital from coming to have a dominant role in economic and political life" (5). It seems apparent that progressives lack powerful visions of what a just modern democracy could look like. The issues and principles that are being developed within this new discussion of Rawls have the potential for creating such a vision, as compelling in our times as the original idea of justice as fairness was in the 1970s. It is, in the words of O'Neill and Williamson, "a political economy based on wide dispersal of capital with the political capacity to block the very rich and corporate elites from dominating the economy and relevant public policies" (4). And it is a society that comes closer to the ideas of liberty and equality that underlie our core conception of democracy than we have yet achieved. SD -- thanks! Here are the basic references for John Rawls -- the most influential political philosopher of the past 40 years. Rawls’s theory of justice was formulated initially in A Theory of Justice (TJ) (1971) and was refined and clarified in Justice as Fairness: A Restatement (JF) (2001). If you're interested in more on Rawls, click the "Rawls" tag in the tag cloud at the right. I've seen increasing references to Rawls in the last year or two--or maybe I just started paying more attention. Krugman namedrops him sometimes, and I came to this article by way of Mark Thoma's blog. Each time I learn something more about what Rawls argued for, I find myself agreeing. He and I seem to exist in a very similar place on the political grid--more so than virtually any other philosopher I've studied. Mr. Little, would you be able to recommend which of his books make a good starting point? I don't know if I necessarily need his magnum opus in TJ, but his most accessible. Thanks for your time & very informative blog. Thanks very much for your sympathetic remarks on our book. I'm delighted that you found it stimulating. It's fantastic to read that you think it contains an important new agenda for progressive politics. Thad Williamson and I have published another short piece, trying to link Rawls's arguments for a property-owning democracy to contemporary debates on the left, especially in the UK, concerning the future of social democratic politics. Hopefully it should be of interest. Daniel, thanks! I will pick that up soon. Since 2007 this site addresses a series of topics in the philosophy of social science. What is involved in "understanding society"? The blog is an experiment in thinking, one idea at a time. Look at it as "open-source philosophy" -- a web-based, dynamic monograph on the philosophy of social science and some foundational issues about the nature of the social world. 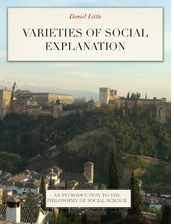 Digital editions of Varieties of Social Explanation are now available on Kindle and iBooks for iPad. This edition contains the original text of the 1991 edition along with an extensive new introduction, "Philosophy and Social Knowledge." 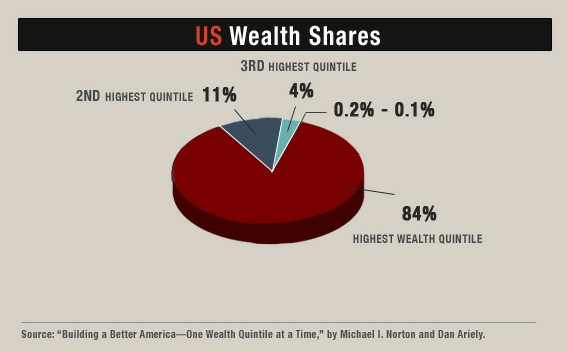 Where is poverty in the national agenda?